It’s grilling season. 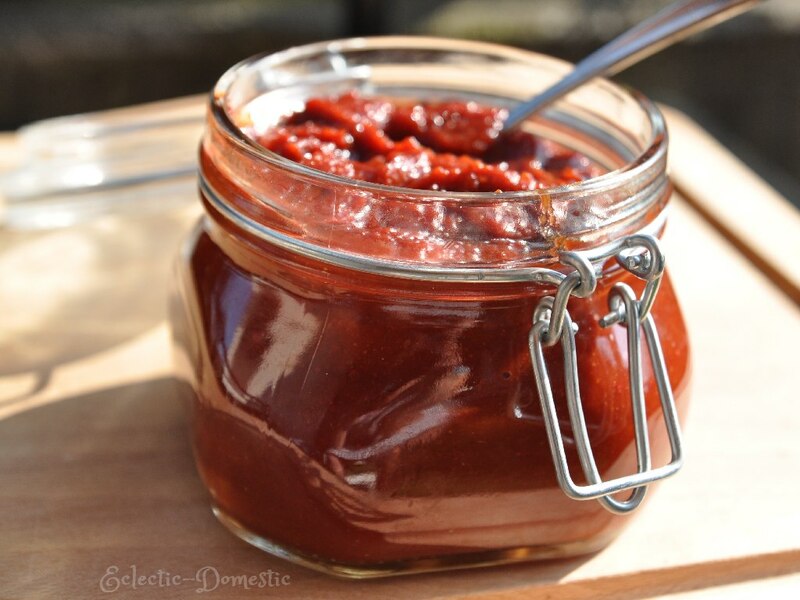 In case you’re like me and are trying to avoid all of the extra sugar, corn syrup, other unhealthy stuff in commercial barbecue sauces, I thought I’d give you my recipe for homemade barbecue sauce. I developed it by combining several different recipes I found online. Despite the many ingredients, it’s remarkably easy. It’s great on pork and beef—especially ribs. And it’s also paleo and primal compliant. I’d love to hear what kinds of sauces you like to use on your barbecue. Great especially on beef and pork. Combine all ingredients in a saucepan and simmer over medium-low heat for 20 minutes. Use on grilled meat—either as a marinade or as a mopping sauce. Makes a little more than a cup of sauce. Looks good! But what is liquid smoke? What is it made of? And where can you get it? That’s a great question. Liquid smoke is a flavoring agent (sauce) that is used to add a smokey flavor to various foods without actually smoking the food. It’s used in processed foods like bacon, hot dogs, jerky, tofu, smoked almonds etc. At home, it can be used in a marinades on steaks, sausages, chops, roasts, or ribs, or in soups, vegetables, and gravies. How is it made? I knew it was made by condensing smoke and adding water, but I didn’t know exactly how, so I looked it up. According to this video http://www.youtube.com/watch?v=golG6qfsPV8 , it’s produced by using recycling raw materials (wood scraps and sawdust) and thereby diverting waste from landfills. The video says it’s better than actual smoking because it avoids many negative environmental effects (because you save the energy) and health effects (because the tars are removed). In the US, it’s available in most larger supermarkets (condiment aisle) or mail-order stores like Amazon. In Switzerland, it’s a bit harder to find, but some suppliers on Amazon will also deliver to Switzerland. Puzzled where 16 g of protein come from and are the values for a serving size or the whole recipe. The bottled sauce I am currently using has 0% fat, 0 protein, mainly sodium and carbs. It does have the awful high fructose corn syrup, which it is recommended to avoid. Thanks for the question. The values here are for the entire recipe (ca. 1 cup of sauce). Those values are automatically calculated by the WordPress Recipe Plugin by Recipe Card. As noted, that software is still in Beta version. That said, the protein must come from the tomato paste. The nutritional analysis here: http://nutritiondata.self.com/facts/vegetables-and-vegetable-products/2689/2 says that 262 g. of tomato paste contains 11 g. of protein. (This recipe calls for 280g.) Plus, there is some minimal protein in molasses. So, it seems like 16 g. may be about right. However, I will submit the question to the support at Recipe Card just to be sure. I will post their answer here. So please check back. As I suspected, Recipe Card confirmed that “A little over 12g of the protein comes from the tomato paste. The rest is spread across the remaining ingredients.” Hope that helps. Hi Nicky, It’s the third concentration of cane molasses. It contains a good amount of minerals, including iron.